Want to be on TV or get film extra work? Joined the site last night and got an audition invite this morning. This site is tremendous. The first and the most crucial thing that you must possess to be an actor on TV or films is the self confidence. You must have ample of it. No matter whether you are tall or short, fat or slim, fair or dark, beautiful/handsome or ugly, you must be confident about your own self. Never ever feel that you are less than others. Confident people are able to take the challenges of life and make their way to the ultimate destination despite all odds. Next important thing that you are required to have is good professional training in acting. You might have done some acting in school or outside of school but this is not enough to get you tv extras or film extra work. Proper training in acting would help build your credibility in front of casting directors. They would feel satisfied to know that you understand the basics of acting and they would not have to waste their time in explaining you things. Then, you must get your resume made. Do mention your prior acting experience even if it is just amateur stuff. 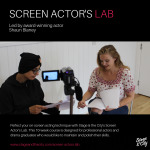 This will let the casting directors or your casting agent know that you are serious about doing TV and films and it would in turn give them confidence in you as an actor. Get your photographs clicked and attach them to your resume. It is better to have close up of the head and shoulders against a plain background. However, with digital photography you can have special effects added to your photographs quite easily. As a lot of waiting is involved to be on TV and to get film extras and tv extras work, you must have lot of patience and calm. Never show your impatience or your frustration if you are made to wait for hours during the acting auditions. Even after you get the tv extras role, always remember that you are junior to main artists and actors. Show respect to them. Feel privileged to be a part of a tv show and enjoy your experience as a TV extra. To improve your chances of getting television extras role, be flexible to do as many roles in as many different TV shows and you would surely find exciting roles for yourself. Who knows, you might be able to grab a lead role in a future TV show of the same production house or become friends with the famous TV personalities who would like to cast you in their upcoming TV or film projects?